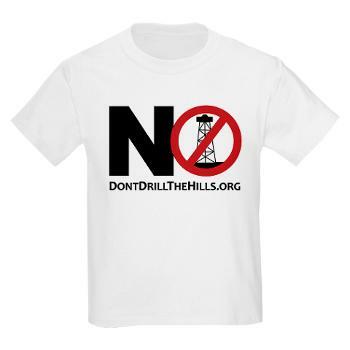 Don’t Drill the Hills, Inc (DDHI) is proud of our first year of fighting for local resident voices in public property decisions, and helping shape the local and State conversation on issues specific to oil and gas exploration in high density residential areas. Perhaps the first organization of its kind in Michigan – we are a non-partisan, nonprofit group who is NOT against domestic energy production, but believes industrial activities belong in appropriate areas and should be pursued with a balance of citizens’ rights, property rights, and local control. Arranged and facilitated collaborative meetings with local, county, and state elected officials, as well as State regulators. This resulted in State Representative Tom McMillin introducing HB 5677 & HB 5386 bills in the areas of property/voting rights and consumer protections respectively. Filed a lawsuit against the City of Rochester Hills to restore voter rights as given in the City Charter. This denial of voting rights resulted in park land being leased for gas and oil exploration without a vote of the electorate. Legal action was taken only after 5 months of unsuccessful discussions with Rochester Hills leaders. Lobbied in Washington D.C. for consumer protections regarding mineral leases. Collaborated, and built coalitions, with like-minded grassroots groups locally and statewide. Receiving 100% of our funding from resident donations. Over one year later, we are still not near having the protections we are calling for either at the state or local levels. While we wait for movement in the state legislature, we continue to encourage Rochester Hills leaders to utilize the powers legally available to cities to protect residential areas. Winning the appeal of our lawsuit filed to restore residents’ right to vote on public property proposals. Building stronger local control for cities and townships alike. Creating consumer protections in the mineral rights leasing process. Continuing our educational and advocacy efforts on gas and oil issues. DDHI is now kicking off our 2015 fundraising campaign to continue our efforts. Continued financial support from residents is necessary. DDHI remains committed to our community and is willing to work collaboratively with everyone to ensure that the high quality of life enjoyed today by Rochester Hills residents continues into the future. Please donate to our 2015 fundraising campaign.